Georgia is our new puppy. She's a French Bulldog and we got her from a wonderful local breeder. 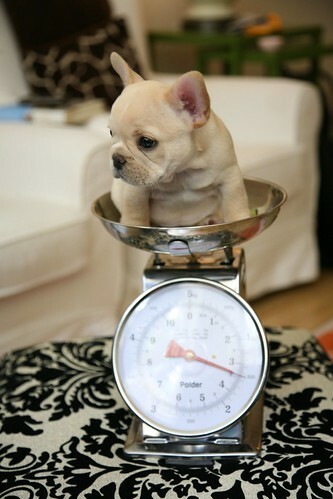 At the time of this picture, Georgia was weighing a hefty 3.5 pounds at a ripe age of 8.5 weeks. So, YES, I've been a bit distracted lately -- but can you blame me??? But I am back in action now and you can look forward to my posts including confections and puppies going forward.